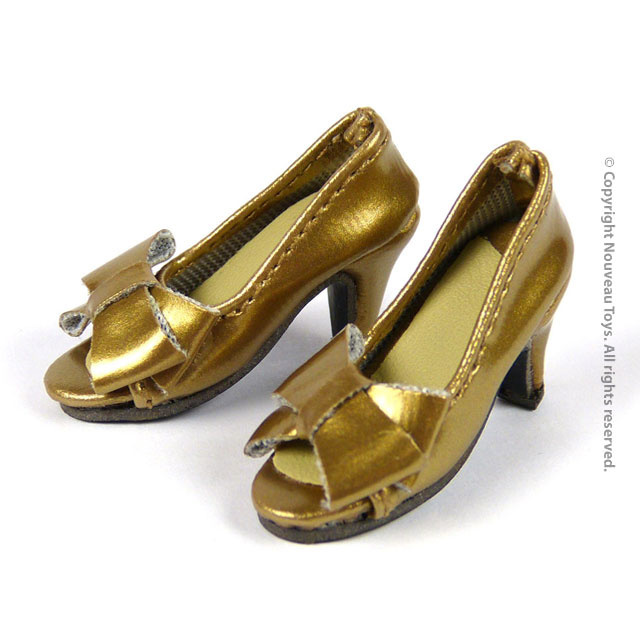 Our Nouveau's latest 1/6 gold glossy open toe high heels with bow ribbons are perfect for your 12" female figure collection. They come in three different colors of glossy black, white and light pink. Great for styling many of your figures' dressing occasions. Limited quantities produced, order yours now!